Have you ever wanted to learn how to speak Spanish but never actually tried? When I was in high school I started taking Spanish. I took it through 3 years of high school and my first two years of college. I got to the point where I started thinking in Spanish. I’ve heard and read that when you start thinking in a 2nd language, that’s when you really “get it”. Being a dumb kid of 20 I of course stopped taking Spanish after that. It’s not completely gone, I can still piece together enough to understand the general sense of a conversation. I was thinking the other day what if I wanted to pick it up again? Would I be able to figure out how to learn how to speak Spanish fast? After looking into it I found out it’s entirely possible. For those of you who have an interest in learning a 2nd language this one’s for you. 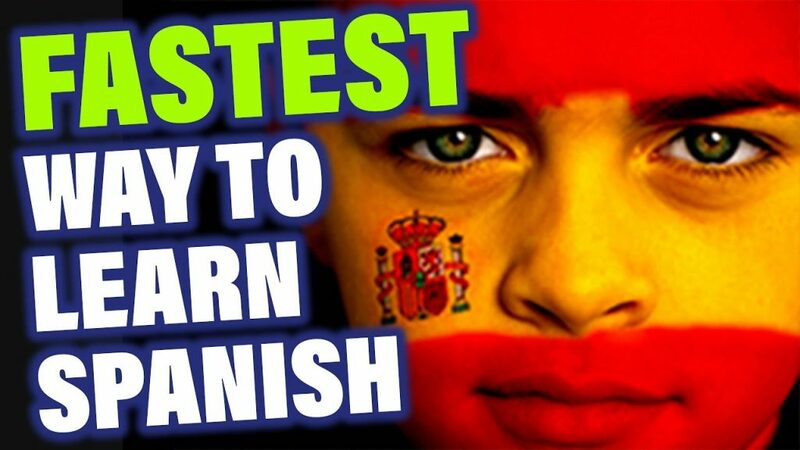 Let’s take a look at how to learn how to speak Spanish fast. Ready? Good, let’s go. I know, it’s sounds like a big hassle. You’re life is busy enough, who has time to learn a second language? Even more so, why should you learn a second language? Let’s take a look at some of the many reasons it’s a great idea to consider. It feeds your brain. Most of us simply stop learning. 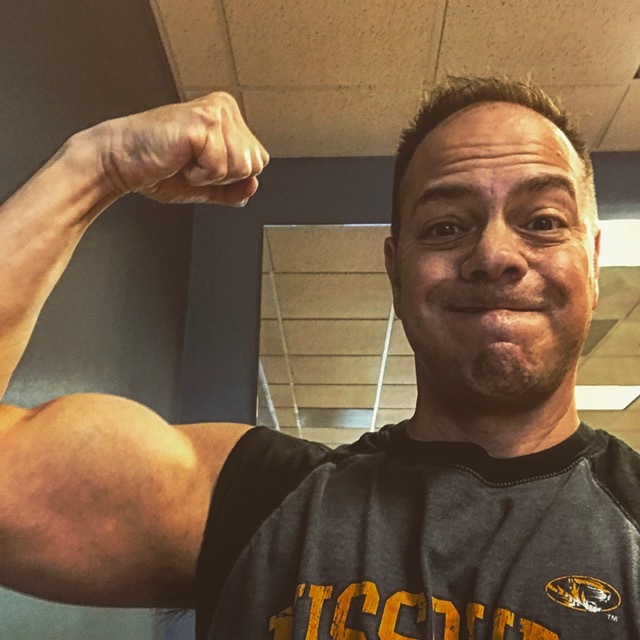 We go about life doing the minimum we need to do to get by in terms of brain power. When you actively study and learn something new it stimulates your brain and keeps it strong. Helps you see the world. We tend to focus on what’s in front of us. What we have to do today in our immediate lives. There is a great big world out there. Learning a second language helps us see more of the world. It opens our eyes further. Boosts your confidence. It’s no small task to learn a new language. When you undertake this venture you are sure to find some extra confidence installed once you complete it. I mean can you imagine saying to your friends “I just taught myself Spanish”? How cool is that? Could advance your career. In so many industries these days having the ability to speak several languages is HUGE. I’ve seen entry level positions that pay $5,000 more for being bi-lingual. That’s substantial, especially in the early stages of your career. Connection. When you learn a second language it connects you to more people. A whole gaggle of people who speak a different language than you. te gusta? 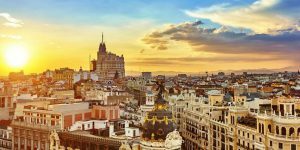 What’s so Great About Spanish? You might be asking yourself what’s so great about learning how to speak Spanish. Let’s take a look at some of those reasons. First of all there are more than 400 million native speakers of Spanish on this great planet. 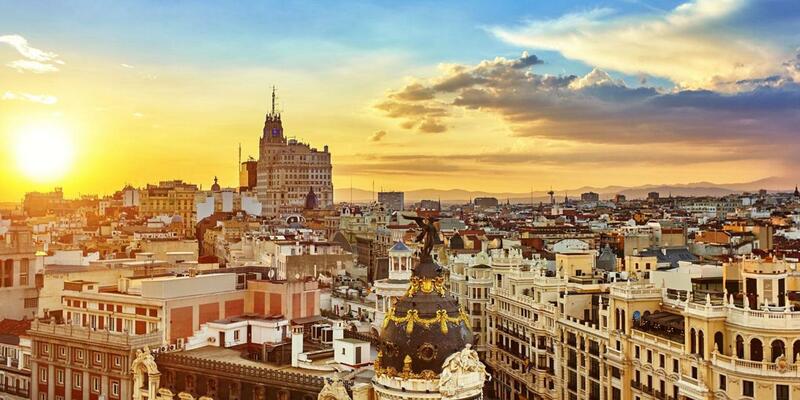 Spanish is the second most spoken language on this planet after Mandarin. It’s also the 3rd most used language on the intranet. You had no clue about that last one did you? That’s okay, neither did I.
Here’s a statistic that will blow your mind. The United States has more Spanish speakers than Spain! As a matter of fact there are over 52 million people in the US who speak Spanish. This is second only to Mexico which has 121 million. And finally on the scale of difficulty of learning a 2nd language, Spanish falls into the “easy” category. The US Foreign Service Institute, or FSI, estimates it takes approximately 480 hours to learn to speak a new language at an intermediate level. Intermediate level means conversationally. That means you can hold a conversation with someone and understand most things that are being said as well as express yourself fairly well. That’s not so bad right? If you could study for 20 straight days you’d be in great shape! It seems like a lot but the reality is there’s a lot of things that affect that number. Sure, if you study one hour a day, 3 times a week, it’s going to take quite a while to learn how to speak Spanish. About 3 years to be exact. But you don’t have to do it like that and here’s some reasons why that’s not as bad as it sounds. Spanish is fairly similar to English. This helps cut the time down quite a bit. Also, if you are motivated and excited to learn Spanish that will be a big factor. If you have the opportunity to interact with people who speak Spanish from time to time that will help quite a bit as well. Perhaps you are learning it for your trip to Barcelona next year you so probably don’t have to become fluent. You will have to learn it at a different level than if you were going to a Spanish speaking country to live for 2 years. So yeah, there’s a lot of factors. The really cool thing is there’s a lot of resources to help you learn how to speak Spanish fast. Here’s a few that might be just the thing to help you if you want to expand your linguistic skills. Learn Spanish: Rosetta Stone Bonus Pack – The tried and true popular Rosetta Stone learning system. The language learning course focuses primarily on the connection between images and languages. It is great for entry level learners who have little to no prior experience with Spanish. It starts with simple vocabulary that then builds into longer phrases. It is very structured and achieves success by being highly structured and is designed to teach through an ongoing pattern of learning. Living Language Spanish, Platinum Edition – This is a complete from beginner through advance course with 3 coursebooks, 9 audio CD’s, and online learning course, apps and live e-tutoring. 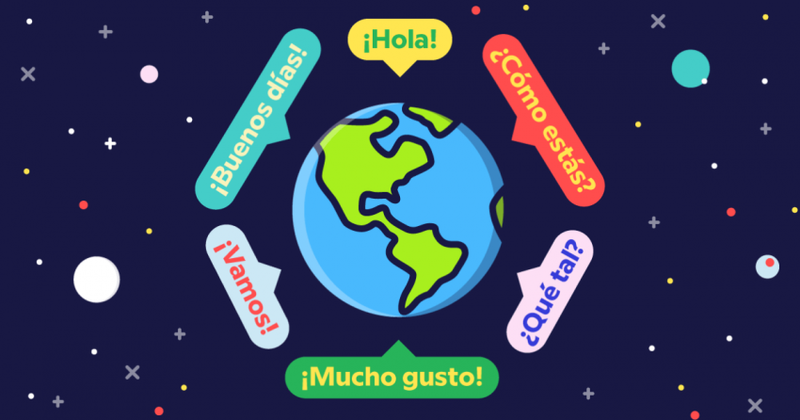 It’s a robust learning system and is definitely worth checking out if you want to learn Spanish. Spanish For Dummies – Who can argue with the for dummies system? While obviously not as robust as a whole immersion learning system this might be the way to go to start out. Get A Tutor – There’s some pretty cool tutoring services out there. I’ve been able to locate some on Craigslist in my city and there’s some really solid looking ones online. Do a little research if this is the route you’d like to go. Look, I’m not gonna try to tell you that it’s easy to learn a second language because it’s not. On the flip side is is extremely rewarding. It opens up a whole new world of possibilities and you get insight into a new culture. And if you’re going to go for it and learn a new language you can’t go wrong with Spanish. It is the second most spoken language in the world. Here in the United States it’s the native language of over 10% of the population. You’d be in some pretty cool company if you spoke Spanish. So now you know why and how to learn how to speak Spanish fast. Of course fast is a relative term but if you’re motivated there’s lots of tools at your disposal. And if you want to get really serious go to a Spanish speaking country. I was in Spain for a week a number of years ago and my Spanish came back real fast. I think from my perspective has Spanish in the first language, It took me a while to get fluently to talk English but that think that help me is to find people with the same interest and interact with them. That way the conversation won’t look or feel forced and you both are enjoying the conversation. I commend you! I’ve heard learning English as a 2nd or 3rd language is very difficult!